Waterloo Region Public, Catholic and Independent Schools are invited to submit original student artworks for Expressions 44, the Kitchener-Waterloo Art Gallery's annual exhibition of student artwork from across Waterloo Region. 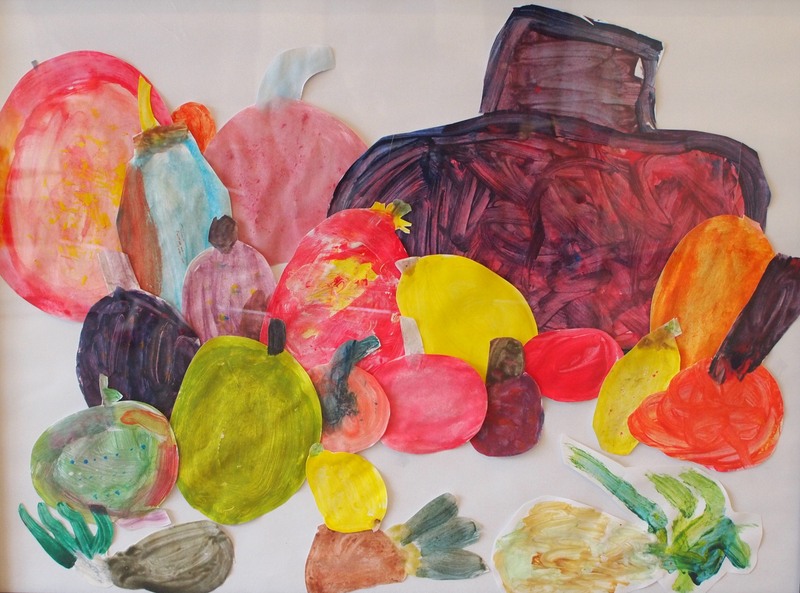 Students are asked to respond to the theme Creative Communities, inspired by the collaborative artwork Fruit Bowl by Grade 1 and 2 students from Vista Hills Public School. Students are encouraged to explore their communities, whether it is the classroom, their family, or their neighbourhood, and respond in a creative manner to their findings. Schools are encouraged to submit 3-6 artworks. Schools and teachers are advised to familiarize themselves with the Submission Requirements and Key Dates below. 1. Artwork label information submitted no later than 15 March 2019. A separate submission is required for each artwork. A paper copy of the label must be affixed to the back of the artwork in order to identify it upon delivery. 2. Parental release forms must be originals (with signatures) and must be submitted with the artwork between 4-12 April 2019. 3. All two-dimensional work must be framed and wired, ready to hang. Artwork that is not ready to hang will not be accepted. Three-dimensional work should be accompanied by a diagram indicating how it is to be displayed. 4. A brief Artist Statement completed by the student describing how the artwork responds to the theme Creative Communities. Note: Printed invitation cards will be available when you drop off work at the Gallery. 15 March 2019: Deadline for submission of label information. A separate submission is required for each artwork. Please ensure that a valid email address is provided on your label information form. KWAG will be in the process of completing a substantial lobby renovation and should we be required to change our delivery dates for artwork, we will use the contact information provided on this form to notify teachers. 4-12 April 2019: Delivery of artwork to Gallery. Each work must have a label with completed artist statement and parental permission form. Unfortunately we are not able to accept late submissions. Please check our website for Gallery opening hours. 28 April 2019: Opening Reception for Expressions 44, 2pm-5pm. Opening Remarks at 2:30pm. 4-21 June 2019: Pick-up of artwork at the Gallery.